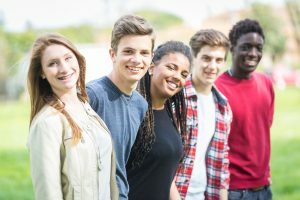 The Child and Adolescent Relationships Laboratory – We focus on the significance of close relationships, such as friendships, romantic relationships, and familial relationships, in the lives of children and young adolescents. We focus on the significance of close relationships, such as friendships, romantic relationships, and familial relationships, in the lives of children and young adolescents. Research in the Child and Adolescent Relationships Laboratory at the University at Buffalo focuses on the significance of close relationships, such as friendships, romantic relationships, and familial relationships, in the lives of children and young adolescents. The overarching goal of this research laboratory is to better understand how close relationships can contribute positively and also negatively to children’s and adolescents’ psychological well-being. In the past several years, hundreds of local middle school students have participated in our projects. We sincerely appreciate the time and effort spent by these students and their parents, and also the principals and teachers who helped to make these projects possible! To learn more about the projects and people in the Child and Adolescent Relationships Laboratory, please click on the links. What do we study in the Child and Adolescent Relationships Laboratory? Markovic, A.,* & Bowker, J. C. (in press). Friends also matter: Examining friendship adjustment indices as moderators of anxious-withdrawal and trajectories of change in psychological maladjustment. Developmental Psychology. Read more. Copyright © 2019 The Child and Adolescent Relationships Laboratory. All Rights Reserved.